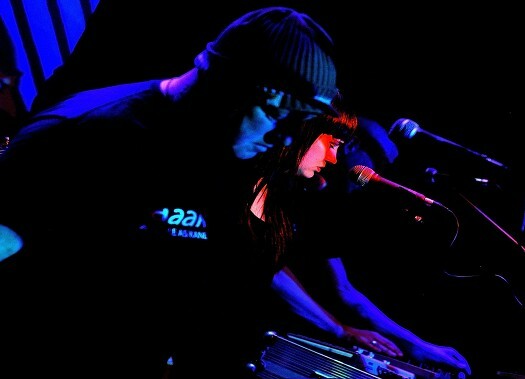 At the end of the 80’s the duo known as As Able As Kane(AAAK) first stalked the streets of the NW, bullying audiences with their Buildingscape Beats – a mutant offspring of the Electronic Body Music scene. They took their name from a song by Scraping Foetus Off The Wheel and their influences from European acts like Laibach, The Young Gods and Front 242, as well as Essex’s Nitzer Ebb. At the time, Manchester was in the midst of Stone Roses and Happy Monday madness (how history repeats itself) and so the hard-edged industrial sound of AAAK appealed to only a handful [of special] people. The band signed 2 record deals and 2 albums were released back then. John Peel liked them and so it seemed did the Europeans. The second album in the recently released John Peel on-line album collection happens to be a AAAK release….. 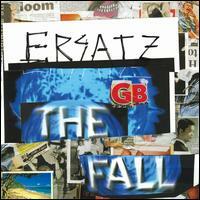 In 1992 the band split and it seemed like they were quickly forgotten. Ding, the music man in the outfit, continued a career in music, building up a recording studio and finding himself playing bass for the likes of The Fall , PJ Harvey and Frank Black over the years. More recently he played with Bobbie Peru and Kin. 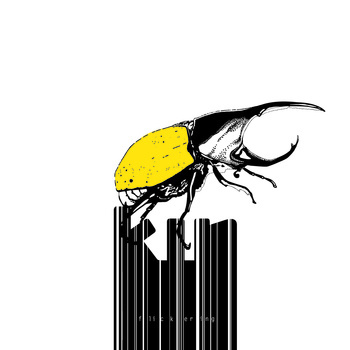 Then, in 2009, Ding was approached by Electric Tremor records about having these earlier works re-released, an idea which quickly escalated into them being re-recorded and the band reforming after tracking down the band’s singer, Paul R.
A 2CD release entitled ‘The Collection’ was released in June 2010, with the band returning to the stage for the first time in nearly 20 years too. There were showcases in hometown Salford (at Sacred Trinity Church) and over in Germany & Belgium .Performances were incredibly well received, with the band employing the use of video, lighting and circuit-bent technology to put the shows together. AAAK continue to go out of their way to be as awkward and ill-placed as they were 20 years ago by doing nothing like the norm. Throughout 2011 they combined playing further live shows with the writing of a new LP. 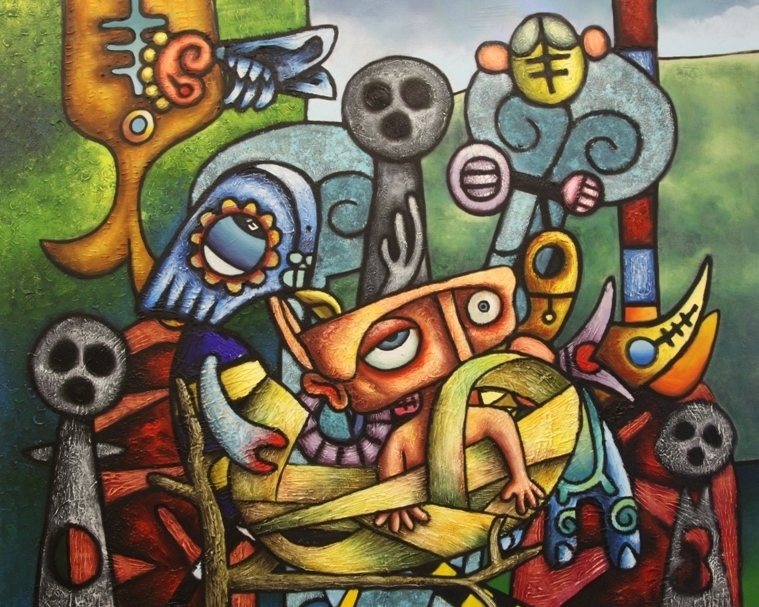 This is now out and entitled “Totalitarian Tip-Toe” – you can find my review here. Ding and Paul have expanded the line up of the band with guitarist Neil Rowbotham of The Words (“a much better guitarist than me” says Ding), and Tamsin A lead chanteuse and guitarist with Mr Heart. Special guests on the album were Kim F and Howard J from Kin. In the most recent live appearance the band was a five piece with Neil, Howard and Tamsin joining Paul and Ding on stage. In April 2012 the band set up their own website where their early work is now available for free download. The website contains free downloads of the bands first two releases which Ding has remastered – plus other rare material. A pop orientated influx of music today from Mausi, Thom Cross, Soulmagic and the oddly named Rainy Boy Sleep – all fine stuff but unlikely to be played on my shows as they just don’t fit – however I have shared them with colleagues at the station and hopefully they will pick up on them. Some interesting rock music from America’s “BrokenRail” (sic) which again doesn’t quite get on my playlist but might get picked up by others. Pleased to see another release from “Danny Short” in his DDS guise – this is the more experimental side of his music which is closer to ambient and free improvisation – anyway you can get it here free. Taking the opportunity for this show to play some four of the five demo tracks “Kill Pretty” laid down earlier in the month in Stockport. They have further recordings planned in February and March with Craig Scanlon and Larry Gott guesting which should be interesting. As I’ve said elsewhere on this blog I’m somewhat excited with what Ian Moss and his band of merry funsters are cooking up. In terms of gigs you can catch them- Thursday January 26th , with Sandells/Factory Star at Kings Arms , Salford; Saturday February 25th , with Taser Puppets at the Railway Chorley. Dates to be confirmed but also March gigs at the Verge, Hyde with Subway Sect , and Ashton under Lyne’s Guzzlin Goose with Taser puppets. In their usual perverse way the Day for Airstrikes chaps released a three track EP on bandcamp on Christmas Eve (fascinating marketing concept chaps!) 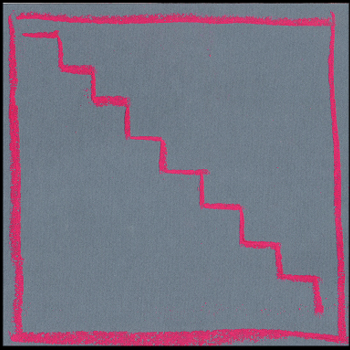 – comprising of music from three of their component parts ( Adam Skerritt (aka Little Idiot), John Simpson (aka Mi Amo Simmy) and Ian Breen (aka Claw The Thin Ice)) – regardless of the Christmassy association this music is required listening. Fascinating also that those components separately sound nothing like the whole. Featuring also – as I will be for the next few weeks – music from the excellent “Long Hat Pins” – who continues to amaze with the variety of music he produces. Also another track from recently featured “Hunting Bears” – and the new single from Turrentine Jones which is a remarkably good move on from their previous work. Also very pleased to be featuring the new single from John Herring – which is a precursor to his second album which will be out in due course. You can catch him at the Deaf Institute on March 17th he has a hell of a good band behind him now and this latest song is damn fine indeed. Looking forward to hearing the album. And so here we are with the top 14 albums of the year as selected by some SCR DJs, some Fall Frenz, and myself. 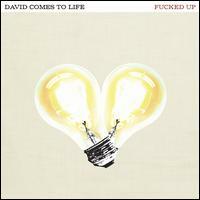 The big pressure vote from a lot of folks was for Fucked Up’s “David Comes To Life” to win but the local vote swung it toward the eventual champion, which is both adjacent to Salford and excellent. The final top 14 is heavily biased towards the North West of England and specifically the Greater Manchester conurbation mainly due to the fact that the music is current to these parts, and that’s what our community radio station is all about. Also notable that two of the american participants in this final list played in the city this year (albeit Ripley was in his Moon Duo guise when he did it). The year has been dominated by the neu Prog and the neu Psyche – a lot of this featured in the preceding three shows to this one – but also the main emphasis has been those musicians who can craft albums at home and produce masterpieces – whether it be time served guys who have been around as long as I have, or the new breed. Tony Thornborough coined an appropriate phrase at the Factory Star/Blimp gig at FAC251 earlier in the year viz “Old is the new Young” spot on – and I have to say in all honesty the most aural pleasure this year has been derived from watching musicians who have spent many years crafting their art and have reached a new creative peak. I just enjoy seeing these guys perform great material which is considerably superior to the Elbow/Coldplay clones attempting to forge a career in the biz. I think I am going to be a little harsher in my responses to bands submitting material next year – my first response will be to direct them to the artists featured on this show…….don’t copy Garvey and Martin look around a little wider. Wooden Shjips – Black Smoke Rise – West (September) – the first Shjips album to get proper studio treatment and their best yet. Everything from pyschedelia, via psychobilly through to motorik rhythms – marvellous and mesmerising music. 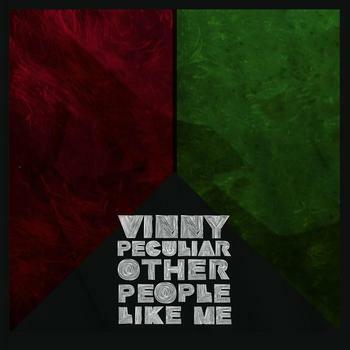 Vinny Peculiar – Artrockers – Other People Like Me (October) – In which local residents Mr Wilkes demonstrates his flair for lyricism and great tunes. Some pure pieces of poetry on this album which reflects back to an older less complicated world. The Fall – Cosmos 7 – Ersatz GB (November) – the 29th Studio album from the bard of Prestwich and his band of travelling troubadours. This one divided opinion quite markedly and led to wailing and gnashing of teeth in some quarters contrasted with unapologetic worship in others. Would have been higher but for a seriously loud no vote from the Clifton area. 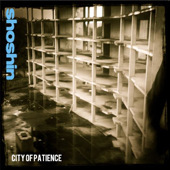 Shoshin – Here Comes My Favourite – City of Patience (July) – I guess the rest of them will catch up on this one eventually as I appear to be the only one who likes this – but I like it lots – I think I have played every track from it. Grab it – you don’t know what you are missing! Also if you can get the link between the preceding album and this one you win a patronising pat on the back. Moff Skellington – In the Helter Skelter Suburb – Embers of the Rapid Eye (?) 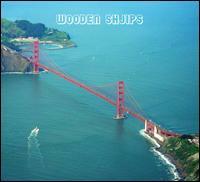 – not released as yet I don’t think but definitely Moff’s album of 2011. The usual mix of other worldliness and DIY musical ethic which makes this artist utterly unique and rather marvellous. Many of the tracks appeared on a session on the old Reformation show. It just makes me smile to listen to this music and wordplay within it. 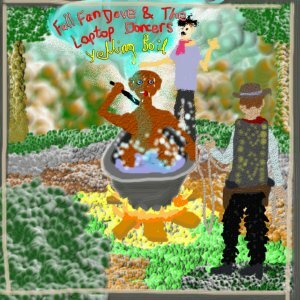 Fall Fan Dave and the Lap Top Dancers – Juggernaut – Yelling Boil (March) – Dave and Ian’s second outing and rather groovy it is too. Another productive year for the duo with a new album planned for 2012. A variety of selections on this one but this track is one Dave prepared for a Reformation session. 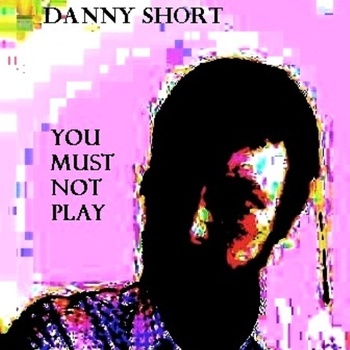 Danny Short – Your Kingdom – You Must Not Play (November) – the second of two albums released this year by the very productive Mr Short. His best yet I think as it captures both his punk-prog-pop side as well as his more experimental leanings. 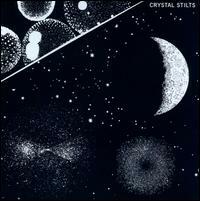 Crystal Stilts – Sycamore Tree – In Love With Oblivion (April) – a stunning second album with some stand out tracks. Described as noise pop meets ’60s psych somewhere – I think they go beyond that and have created a signature sound which is centred around Hargett’s laconic vocal delivery. Kin – Chemistry Set – Flickering (December) – actually out in physical form in rather groovy packaging earlier in the year but just made available on Bandcamp. This was all it promised to be in the “Dot Dot Dot” ep on Invisible Girl but took the form and schema to a new place entirely. New stuff on the way from the amazing talent that is Kin. I also get a mention on the album sleeve notes along with a few others…. 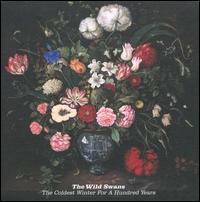 The Wild Swans – English Electric Lightning – The Coldest Winter In A Hundred Years (August) Claiming to have “unfinished business,” former Teardrop Explodes keyboardist Paul Simpson returned with Wild Swans’ first album since 1990’s Space Flower and a new super-group line-up which included the Brian Jonestown Massacre’s Ricky Maymi, Echo & the Bunnymen’s Will Sergeant and Les Pattinson, and Spiritualized’s Mike Mooney, just to name a few. The chosen track is just pure magic – wonderful lyrics. The first of two Occultation releases in the top 15. Monster Island – Pilot Whales – Cathedral Steps (November) Stephen, Lewis and Wesley are back with their third album which further develops their unique approach to music and their lyrical genius in respect of the world that surrounds us and them. Utterly wonderful. Get it from Bandcamp. Note to self – make sure we get them at a gig in Salford next year. 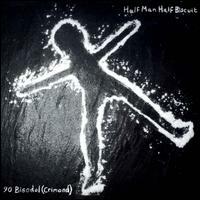 Half Man Half Biscuit – Somethings Rotten in the back of Iceland – 90 Bisodol (Crimond) (September) – the 12th album in the canon and they show no signs of running out of ideas – the usual Blackwell obsessions remain – footie, indie bands and obscure soap stars. There are three constants in my life – the wife, The Fall and Half Man Half Biscuit (oh and Joseph Holts Bitter – so that’s four). Fucked Up – Queen of Hearts – David Comes To Life (June) – a “Tommy” for the I-Pad generation? Possibly – but then again so much more than that. Immense vocals, searing guitars and exceptional tunes. As mentioned above many had this as number one for the year but the jury over turned that verdict and came up with the one below. 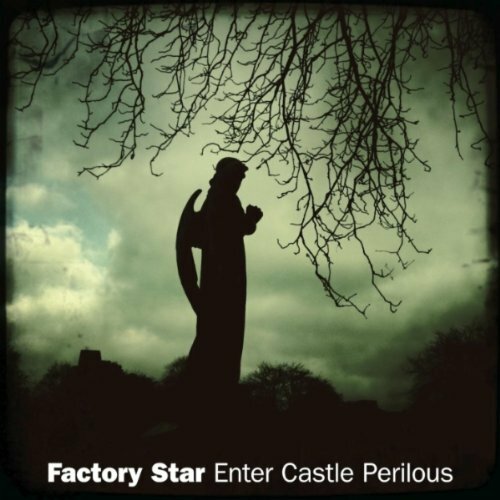 Factory Star – Stone Tumbling Stream – Enter Castle Perilous (April) – we said this immediately it came out – Album of the Year – a bit of a bold statement given we were only four months into the year. Having seen the new line-up do the whole album in order at FAC 251 and having been somewhat blown away it was good to get hold of it and revel in its quality. Some of Martin Bramahs’ most exquisite lyrics appear on this release revealing him as a poet of some distinction, and the tunes are just as memorable. The album was recorded “live” and this works on so many levels as it captures the intensity of the experience of catching this band in the flesh. My review of the album is still the most read blog on this site. Occultation records again demonstrating exceptional taste. The Fall – No Xmas for John Key – from the first Peel Session, a seasonal ditty from the gruppe…..
AAAK – Into Stranger Times – an exclusive track from Ding and Paul for me for Crimb0 – features Kin and Howard from the Kin Band….